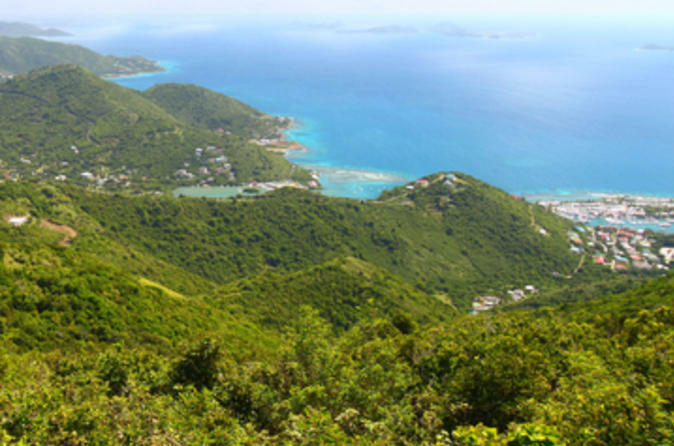 Walk through rustling tropical forests and earn sweeping views of the British Virgin Islands on a 2-hour hiking tour of Sage National Park from Road Town. Follow your guide past towering mahogany trees and lacy ferns, watch for brightly colored lizards and frogs, and listen for the trilling call of the islands’ native turtle doves. Emerge from the forest canopy at lookouts that command panoramas of the US and British Virgin Islands then try to spot Puerto Rico on the hazy, Caribbean horizon.